Welcome to the Tinicum Rear Range Lighthouse Society Website. 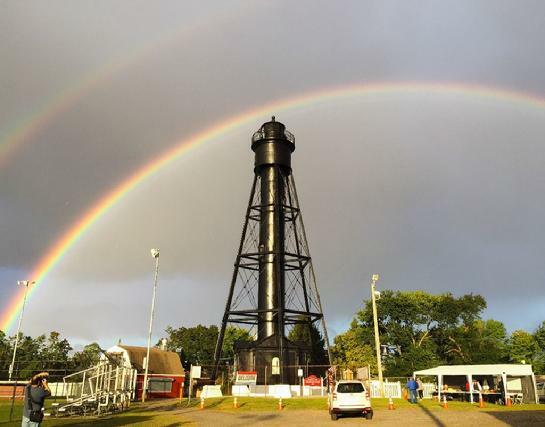 The Tinicum Rear Range Lighthouse Society is dedicated to preserving and presenting the history of the historic Tinicum Rear Range Lighthouse, guiding Delaware River commerce for over 125 years. The historic Tinicum Rear Range Lighthouse is located at Second Street and Mantua Ave in Paulsboro, New Jersey, along the shores of the Delaware River. Our Society conducts regular tours the third Sunday of each month April through September and the third weekend of October for Lighthouse Challenge. Special tours are available with advance notice. The lighthouse is also available for weddings and other special occasions. A small donation is accepted to help support our efforts.